Posted by Erika (aka "e") at 9:16 AM 2 comment(s) from my peeps! Anyone who's kept up with my personal blogs — this one (Long Live Locke), Baba G and Me and According to e — knows that I'm not the most consistent poster. After my paid writing work is finished each day, any free time is going to be spent with little Desmond (now 15 months old!). But I'm still EXTREMELY ASHAMED that it's taken me nine months — yes, the same amount of time that it takes to bring a human life into this world — to finally post the interview I did with the couple behind the infamous "LOST Nursery": Monica and Joao. We wrote back and forth with each other in August of 2012 BEFORE their son was born a few weeks later... and then the days turned into months on my end. Maybe my delay was because I was so jealous of their cool idea. 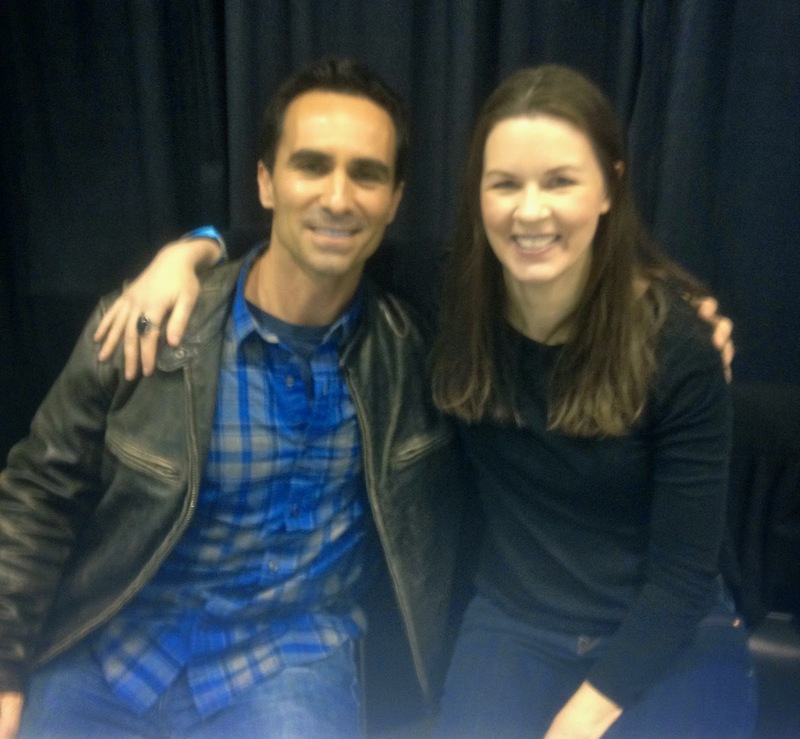 Or maybe I'd become ashamed to call myself a LOST megafan after chatting with this cool couple — I mean, I DID go so far as to name my firstborn after one of the show's characters... yet still didn't come up with this brilliant plan for a nursery myself. Perhaps Monica and Joao's awesome level of fandom had me questioning my very existence. One good thing that came out of my increasingly poor time-management abilities and/or existential crisis, however, is that now we get to see some pictures of the family all together. Yay! Can you tell me a little bit about yourselves? I wasn't sure if you are designers for your job (because of your web site) or if that's something you do on the side? We live in Cascais [Portugal] with our 3 cats and soon with our little baby boy. We are in real estate and we work mainly with houses in this area. About our site, we're not designers; we learned how to do everything we did by ourselves. We met back in 2001 through mutual friends — Billy Idol was playing and it was love at first sight. And since then we've been together. On January 8, 2011, we went to Brazil to get married at the Redeemer Christ in Rio de Janeiro (one of the new wonders of the world). It was breathtaking. Before we met, we both loved and collected movies, so we've become even bigger collectors now. The happy couple in the nursery before the baby arrived. Think those cats knew what was coming? When did you start watching LOST? Right from the first episode, or did you hear about it at some point later and catch up on DVD? We heard that it was a good TV show, but we waited for more seasons to come out (as we usually do with almost every series). So we stayed away from spoilers until 2008, and then we started from the pilot and watched four seasons in less than a week! (We also did that with 24 — we watched it all at once in "real time" — so it was easy for us!). LOST was mind-blowing from the Pilot on and immediately became our favorite series. This is your FAVORITE MOMENT?!? Damn you! What is your favorite moment (or a few of your favorite moments) from the series? Monica - For me it was when Locke sees the light turn on in the Hatch, when Sawyer kills Locke's father, and when Sawyer says "Don't you leave me!" to Juliet. Joao - For me it was when Charlie dies (Not Penny's Boat), Desmond calling Penny from the Freighter, and also when Juliet falls down the hole. This is just to name a few, but we have many, many more moments we love! 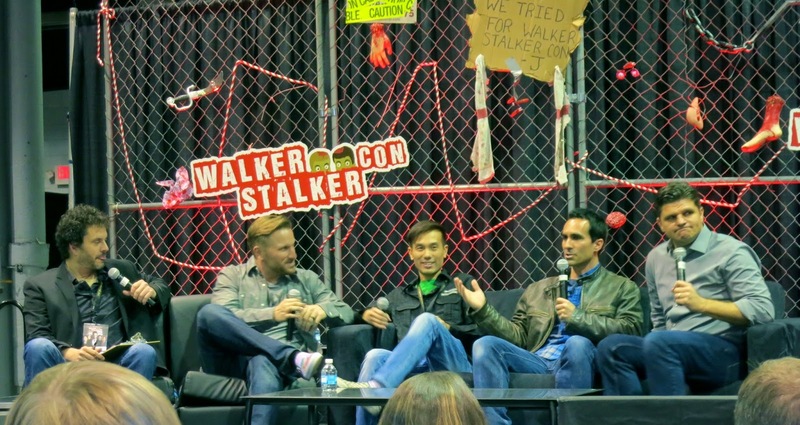 Monica: For me it's Locke and Sawyer, because of their stories and their evolution as characters on the Island. Joao: For me it's Sawyer and Desmond. Sawyer is funny, sarcastic, knows all about movies and series, and has one of the best stories on and off the Island. And Desmond is the man. The man from the hatch, the man with visions from the future, with time travels, The Brother. And he has the best love story ever! Desmond Not Included with any hatch you build yourself, though. Why do you think you loved the show so much? Monica: Because it's one of those shows that we just can't stop watching, we want more. And because I love the Island, I love the Hatch (we want to build one), I love the mystery and the adventures. Joao: First, we never saw anything like LOST, not your typical castaways, not your typical island, and the show had a different way to show us the background from the main characters. And every time we thought we saw everything on the Island, they just kept us giving another and another mystery! Who came up with the idea for the nursery? Did the other person agree right away or did you think it over for a bit? How have your family members and friends reacted? We always talked about doing a movie/series theme for the nursery, and we talk about LOST and other possibilities like Star Trek, Star Wars, Lord of the Rings, and V (the series). 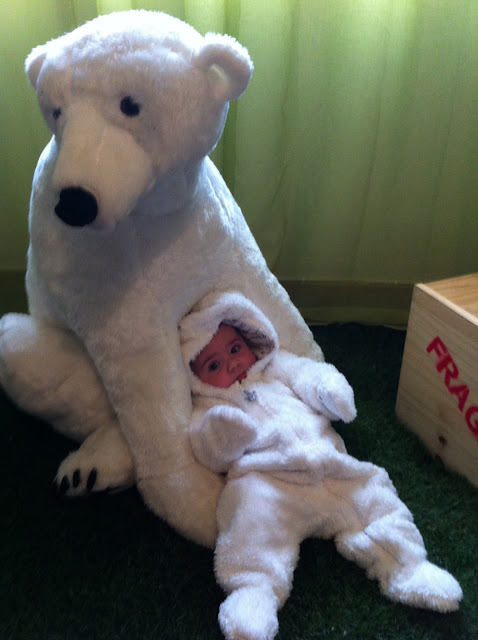 We start browsing around in local stores to get some ideas, and we saw the polar bear (at a toy store) and the trees. We thought "The Island is telling us to do it." We realized that we could make a cool jungle and create a relaxing and calm environment in the room for the baby, and a room that we would love, too. After we bought the bear and the trees, all kind of ideas came and it was just a question of finding some and making the others. Our friends and family (most of them never saw LOST) love the room, they find the jungle very original. And they like the neutral colors. I LOVE the time-elapsed video (set to the LOST score, no less) of you guys setting up the room! How long did it take to put together — I'm assuming it was over several weeks? The idea of the video was to show it to our baby someday. We made the room in about two months, but what took us more time was customizing all the stuff. We customized the baby food products, the supply crate, the bed, the mobile and the planes, the baby clothes, the rabbit, the blanket and the van. From scratch, we made the Baby Dharma Station wooden Symbol, the pillow, the comforter cover and the diaper-changer cover. When's the next food drop? Namaste and sleep tight, Dharma baby. Who's pressing the button to keep these in the air? What was the hardest item to buy, secure, or otherwise make for the nursery? The hardest to find was the Virgin Mary, to get one closest to the original. By the way, this one is full love! Sure, the Virgin Mary is great... but check out that recreation of the Des and Penny picture! Impressive. And also the rabbit. We were thinking of a stuffed rabbit, but it was not good to put a number on it. We had almost given up on the rabbit when we saw on the net that a Portuguese store had the one (another signal from the Island!). They need to reposition that Sawyer figure so he can say, "Baby, I'm tied to a tree in the jungle of mystery." Does Ben know they've got his bunny? It's their own version of the Hatch Light! The Dharma Symbol was what took us the most time to make. And looking around every store to find the items wasn't easy, either! What's your favorite thing in the nursery? Joao: For me it’s all of the jungle, but I really like our “Desmond and Penny” picture. You've gotten a LOT of coverage on your nursery. Can you share some of your favorite reactions or things that have happened after it started going viral? We never thought that our baby nursery would get all this attention. We were very surprised — and very happy that everyone liked it instead of thinking that we were big geeks! The best thing we've heard or read is that our baby is going to be a happy kid. Also, it's kind of fun when someone tells us that we're such cool parents (thanks!). But what makes us laugh is seeing so many people saying they want to get pregnant so that they can make a nursery like this. We are very glad to contribute to increasing the population of LOST fans! That is too funny. I have to add to the chorus of people who think you guys are really cool parents. On that note, what other pop culture things do you enjoy — other TV shows, movies, music, etc? These peeps are tough and all, but they'd be no match for Smokey. Or Rose. Some of our favorite TV shows are: LOST (naturally), Prison Break, 24, Dexter, Game of Thrones, The Walking Dead, Star Trek, V (the old and the new), Seinfeld, How I Met Your Mother and The Big Bang Theory. Movies are harder to say, because we love all kind of movies (drama, comedy, horror, science fiction, thriller, etc). We can name a few that we watch at least once every year (our classics): Alien, Aliens, Predator, Star Trek, Planet of the Apes, Duplex, Romancing the Stone, Troy, Fargo, Die Hard, Halloween, The Thing, A Simple Plan, Misery, Lord of the Rings, Panic Room, Psycho, and The Descent. We love music a lot, too — it's a passion. Our favorite band/artist is Nine Inch Nails/Trent Reznor. We also paint together, mainly pop-culture paintings, and we also make some limited DVD/BD editions just for ourselves and our friends. And we also write together; we are writing a TV show that I'm pretty sure Damon Lindelof might be interested in! But of course he will! 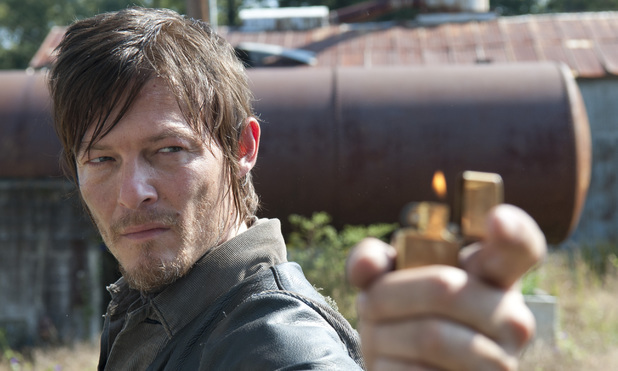 Is there another show you're watching now that has helped ease the pain of LOST ending? After LOST ended, we felt a great void. We didn't find anything like it, so the only thing we could do was to watch LOST again and again. We tried to watch other TV shows, but they were all weak in comparison to LOST. We then discovered Dexter, and that helped. 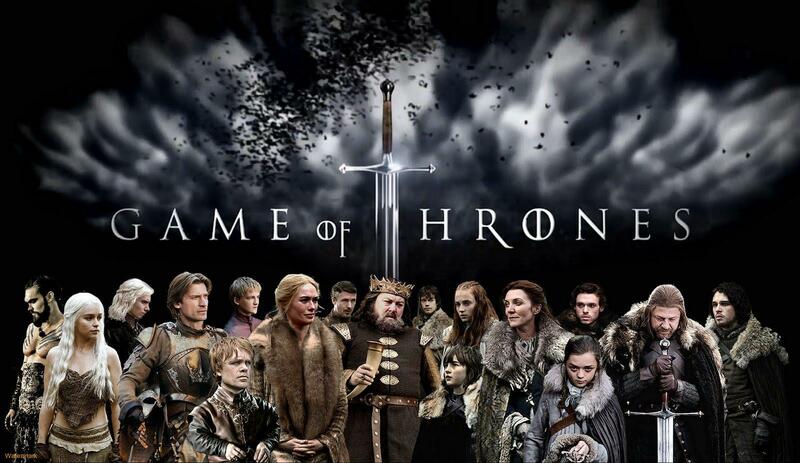 Now we have The Walking Dead and Game of Thrones. Do you know if you're having a boy or girl? Will the name be something related to LOST or otherwise pop-culture inspired? We're going to have a baby boy. His name will be Páris (like Páris from Troy). Unfortunately in our country we can only give Portuguese names, so it is impossible for us to give him a LOST-related name. We looked at the approved list of names and found that Páris was accepted in 2007. 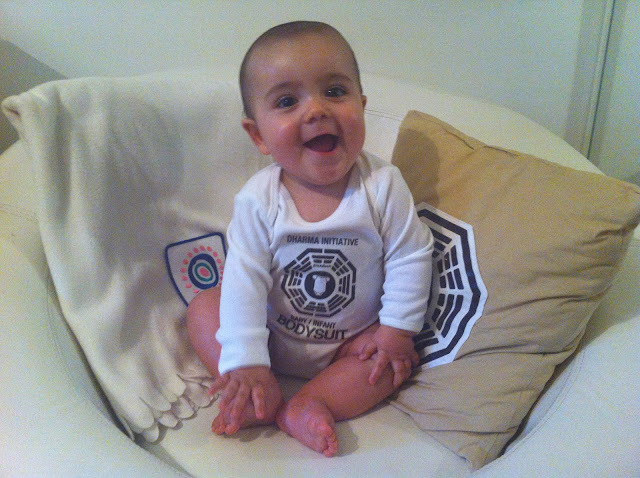 And finally, how much are you looking forward to the first time you watch LOST with your son?!? 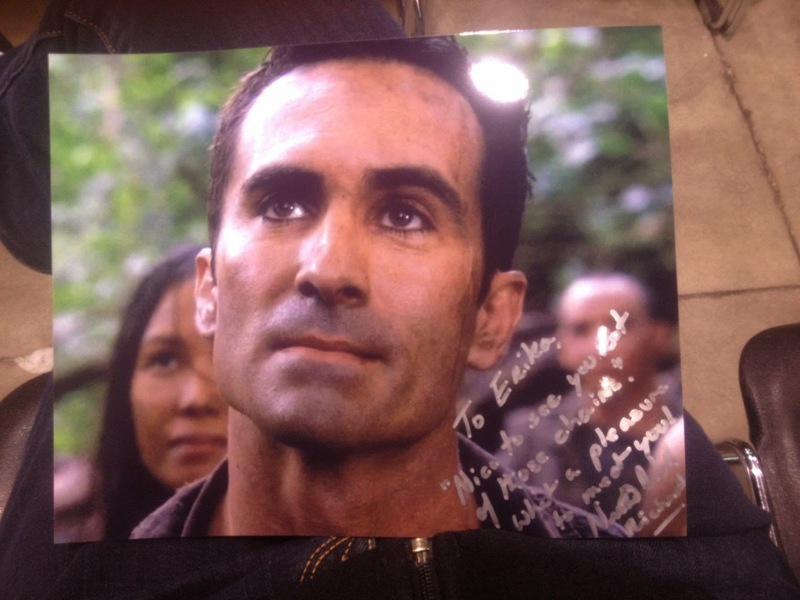 We think that it's going to be very cool when he watches LOST and starts to realize that he knows many of the things. All kinds of childhood memories will come back to him! Hello again! So, when did Páris make his grand entrance? He was born on September 9, 2012, weighing in at 3.270 kg and measuring 48.5 cm. How are you adjusting to parenthood? We are loving every moment (even the lost sleeping hours). 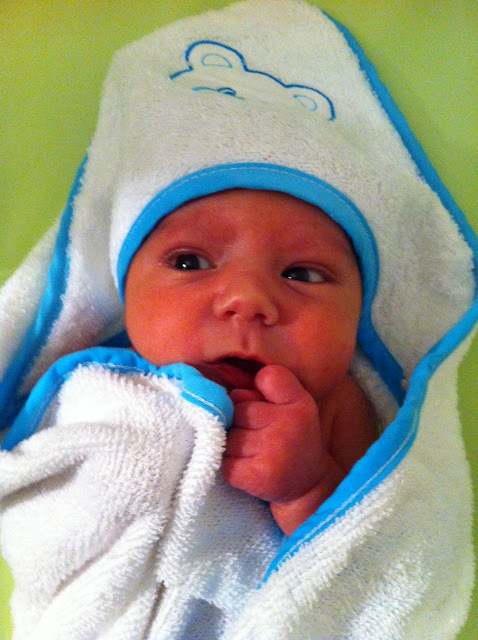 He is the best thing that ever happened to us, our love... our precious! You must also feel the same way with your lovely Desmond. When they get together, I think they will have a lot to talk about! Is that a polar bear on your towel, little buddy? Why yes, I think it is. Yes, they can compare tips on how they've dealt with their nerdy parents. So how does Páris like his nursery so far? Páris has been at home for almost a month now and he still doesn't sleep in his room. We only go in there to give him bath, change diapers and dress him, but I have to say it seems that he likes the nursery — he is always very calm and peaceful there. Let's wait for a couple a years to see what he really has to say about his crazy LOST-themed nursery. Congrats again — he is a doll! When I knew I was finally getting ready to publish this post, I checked in one more time with Monica and Joao and was treated to these additional pictures. They also reported that little Páris is starting to get some teeth that have been bothering him, but overall he is doing really well! This has got to be one of the best LOST-inspired pictures ever. 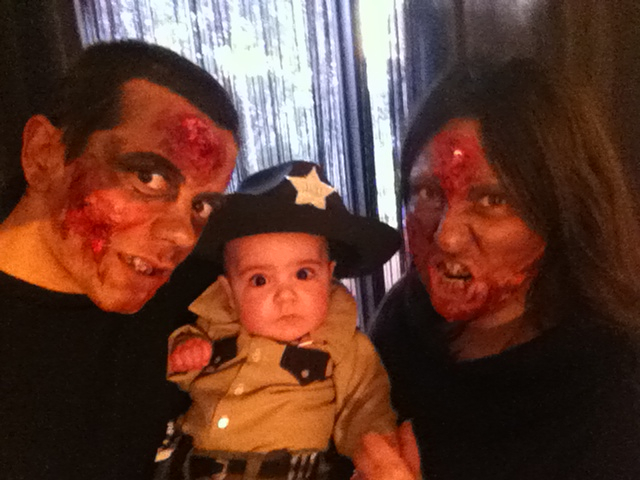 Mini Sheriff Rick (aka Páris and his zombified parents). This is what happens when babies don't sleep through the night. My parents did alright, huh? Would you look at that smile? This guy already knows how cool his parents are! I'd like to give a HUGE thank-you to Monica, Joao AND Páris for doing this interview, sending me their pictures and continuing to respond month after month. I hope we all get to meet each other one day. 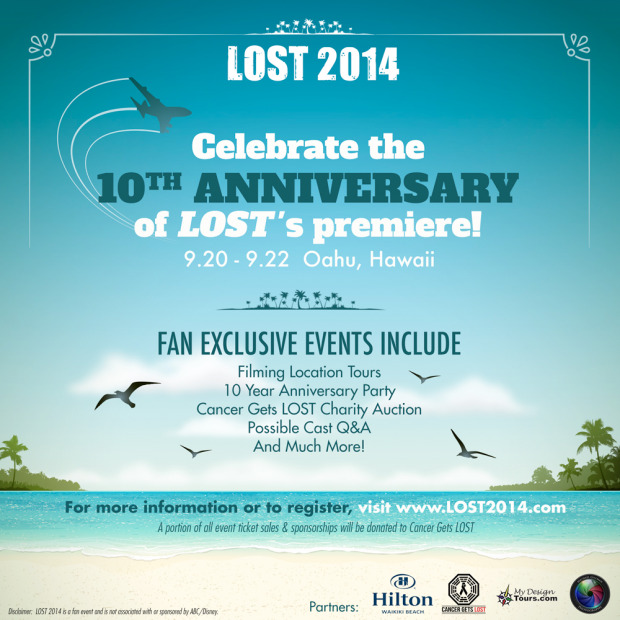 Maybe at the 2014 LOST reunion on The Island? Yes, people, it is happening! I'll be back at some point between now and 2014 (seriously, that's the best I can do) with updates on a bunch of LOST-related happenings and news. I hope all of my fellow LOST fans and loyal Long Live Locke readers are doing well. In case you missed it, here's what I've been watching. And if you haven't already, please connect with me on Facebook (include a note saying you're a LLL reader/LOST fan) and/or Twitter. 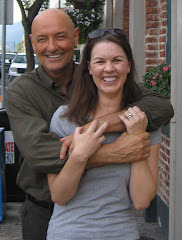 And speaking of Twitter, did you know that the one and only Terry O'Quinn himself is tweeting? You best start following him now so that you can be privy to cool pictures like this... and totally random pictures like this. Posted by Erika (aka "e") at 10:20 AM 5 comment(s) from my peeps! Go to CancerGetsLOST.org for all the details! How have you all been? Good, I hope! I'm slowly but surely getting my life back in order now that Little Des is seven months old. But if it weren't for my fellow blogger JOpinionated launching the most awesome charity auction of all time on 8/15 (LOST Day, of course), who knows when I would've finally gotten this post up! So here's the deal: Jo and her producing partner Jared Wong founded Cancer Gets LOST, a charity event that benefits the National Brain Tumor Society 100%. As in, every single cent raised from their auction, live webcast and party is going to the NBTS. Jo's dear friend Jackie passed away this month after a four-year battle with brain tumors and cancer, and I can't think of a better, more wonderful way to help keep Jackie's memory and spirit alive. Jo and Jared have gone ABOVE AND BEYOND in pulling this thing together. I mean, I really urge you to browse through the CGL site on your own, but here are a few spoilers: they got everyone from LOST co-creator Damon Lindelof to Jorge Garcia (Hurley) to not only help promote the cause but also sign and contribute incredibly cool and rare items for the auction. A LOST Pilot script signed by Damon and the one and only JJ Abrams? Check. The musical score to Locke's mind-blowing "Walkabout" flashback, signed by LOST composer Michael Giacchino? Check? Props from the show? Check, check check! You get the idea, right? And there's actually a lot of great stuff from other popular TV series as well. I'm not going to do it all justice—you just have to promise me you'll scroll through all of the 250+ items (and counting!) yourself, m'kay? And if you simply want to contribute to Cancer Gets Lost without bidding on anything, there's a way to do that, too. Just contact Jo or Jared and they'll help you out. The online auction will remain open until 8/29. There's also a live charity webcast this Saturday, August 25 from noon - 4 p.m. PST, and I'll direct you to all of the info for that event here. Let's just say some very familiar faces are going to pop up on the stream and you'll definitely want to tune in! And finally, if you live in or near Los Angeles, you need to get your behind to the Cancer Gets LOST party this Saturday evening, August 25, for a chance to hang out with the LOST fan community once again. Details are here. OK! Geez, I hope after all that I've convinced you to go check out the auction. Swear on The Island that you will! You really don't want to anger Smokey, now do you? Let me know if you end up being the highest bidder for anything and I'll do the same in a future post. If it's not already extremely obvious, I am just so thrilled that the LOST community has pulled together to support Jo and Jared and their cause in this touching way. If that doesn't scream from the mountaintops how special the series was, is, and will always continue to be, I don't know what else could. "On the evening of May 3, 2006, I was up by myself watching Lost in the dark while the rest of the family slept. Ana Lucia: "Sorry for what?" My mouth opened and I raised my arms over my head. Frozen, standing up with mouth open and arms raised. 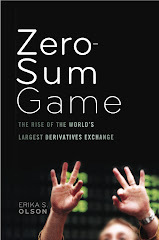 In time I sat down and lowered one arm to reach the remote and play back the last recorded minute." "Wow, there are so many, it's hard to choose just one! I lost track of how many jaw-dropping scenes there were. But to this day, I think of Claire and Charlie whenever I have peanut butter, so the scene where Charlie offers Claire the imaginary peanut butter still makes me smile. 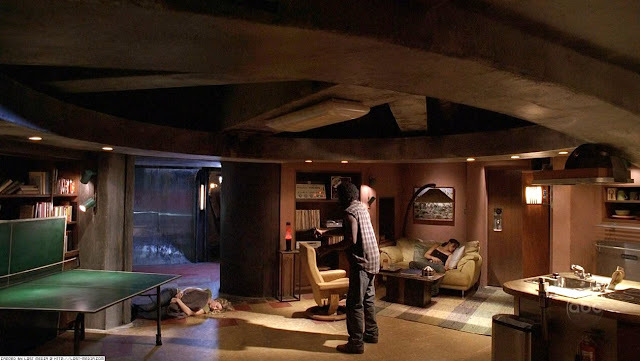 :)"
"That scene in Deus Ex Machina really set this show apart from all the others; SO powerful! 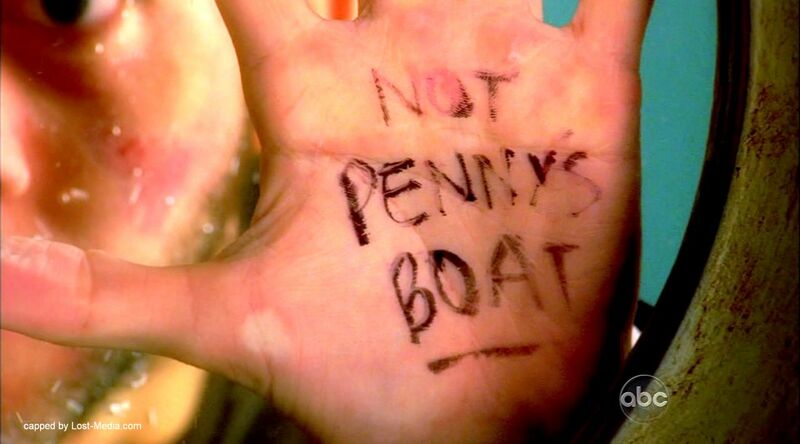 But I have to say the moment that sticks with me to this day is when Charlie writes on his hand: Not Penny's Boat. That moment has so much building up to it: Desmond will finally see Penny! All the problems are solved! They'll get off the island! Charlie is such a beloved character, and his sacrifice, the music (oh, the music! ), the cinematography... all of that building to what was a huge shocker for me. That image of his hand on the glass—it gets me!" 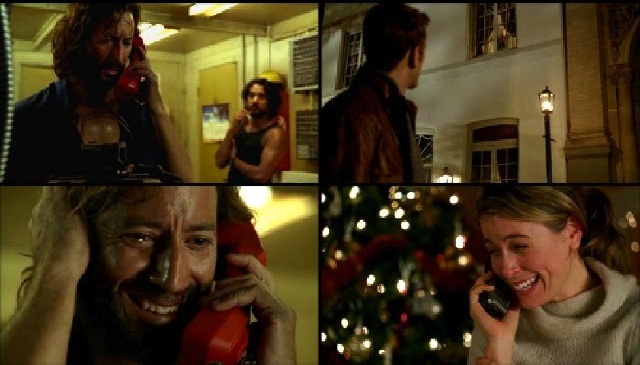 "My "most memorable" (and it doubles as most favorite") scene was Desmond and Penny speaking on the phone in "The Constant." I loved that the entire episode wasn't linear, and that we got to learn so much of their back story. I remember trying to explain it to a friend the next day, and I know I sounded crazy! Time jumping...consciousness shifting...! I was also swearing that it was the most amazing episode yet (and I still believe that)! Years later, I eat up the idea of time travel and timeline hopping by getting my regular dose of "Fringe"! But man, do I miss LOST." If you're one of the winners, please leave a comment below (or contact me through Facebook or Twitter if we're connected there) and let me know your email address so I can get in touch with you. I will not publish the comments you leave with your email addresses, so no worries there. Thanks to all who participated! You can read through everyone's memories here—I promise you it's worth a few minutes of your time. And if you didn't win, remember that you can get your LOST fix through LOST Thought, edited by Pearson Moore, via paperback or Kindle. I've liked hearing from people who enjoyed my joint-chapter with Jo—keep those comments comin'! Alright, that's enough for today, but guess what? 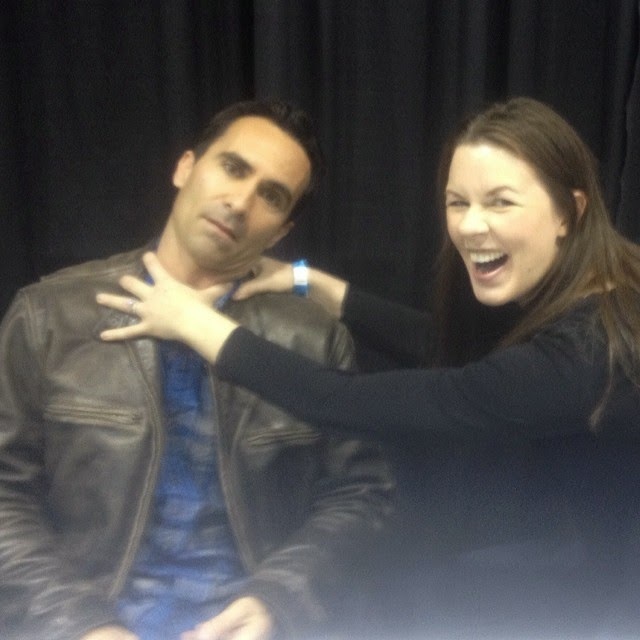 I'm going to be back soon because I'm interviewing a couple of LOST fans that put even my fandom to shame. 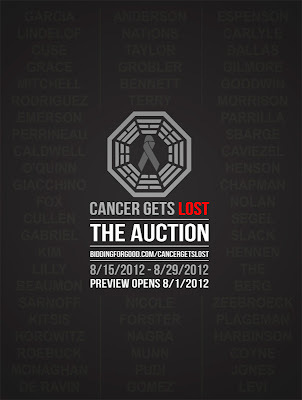 So stay tuned for that and best of luck securing some great items in the Cancer Gets Lost auction! Posted by Erika (aka "e") at 10:08 AM 3 comment(s) from my peeps!